The Shanxi Province-born filmmaker started from humble beginnings working on "underworld" independent projects not approved by mainstream studios. Now, two decades later, he is seen as a heroic figure whose art house films can stand out in a market dominated by commercial films. Changes in the market and with the director himself have enabled this to happen. Chinese movie audiences are more willing to spend money to see a wider range of works, while Jia, as most people do as they age, has learned to balance his vision for a film and market demands as well as becoming more experienced in dealing with government bureaucracy. Following its world premiere at this year's Cannes, Jia's latest work Ash is Purest White is set to release in the Chinese mainland on September 21. 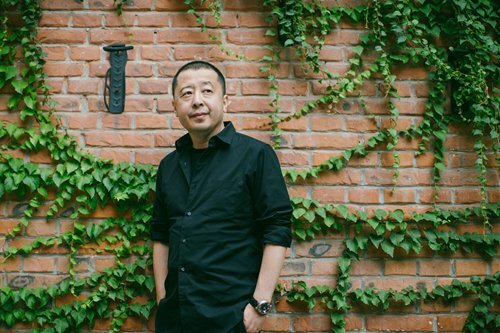 Sitting down for an interview with the Global Times on August 22, the 48-year-old director and scriptwriter shared his thoughts about his new film as well as how he has changed as a filmmaker over the years. Taking the rapid changes China has undergone over the past 17 years as its background, Ash is Purest White focuses on the romantic relationship between Qiao (Zhao Tao) and Bin (Liao Fan) as they fall in love, fall apart and reunite. The film is loosely connected to Jia's previous works - the two major characters have the same names and personalities as two characters from Jia's Unknown Pleasures (2002) and the plot is somewhat related to the story in Still Life (2006). Additionally, the way the couple's story is portrayed over a long period of time is similar to Mountains May Depart (2015). As a result, some Chinese reviewers have been calling the film a compendium of sorts of Jia's works. Like most of Jia's films, Ash is Purest White focuses on ordinary people who come from different backgrounds, but this time he is also treating them as belonging to the same larger group since he considers them as the "sons and daughters of jianghu," which is also the Chinese title of the film. A term often used in Chinese martial arts stories, jianghu usually refers to a community of martial artists, in Jia's film however he uses this term in a broader sense. "For me it means, a group of people who leave home and, as they wander about, seek out life's possibilities and search for a new home they can feel emotionally connected to," he noted. Jia felt that this concept of jianghu was so central to his film, that he asked the translators who wrote the English subtitles for the film to not translate it but use it directly. "After the film was screened several times abroad, I heard a lot [foreign audience members] saying 'jianghu' 'jianghu,'" Jia told the Global Times, going on to joke that he thinks his film may end up popularizing the Chinese term overseas. Like many well-known Chinese filmmakers, Jia rose to fame by winning prizes at European film festivals such as those held at Cannes, Berlin and Venice. However, recent years have seen a decline in the number of awards for Chinese films, despite the fact that more and more veteran and up-and-coming filmmakers are taking part in them. In the late 1980s to the 1990s, at least one Chinese film, and sometimes two or three films, would win an award at one of the top three European film festivals. However, entering the 21st century, Chinese films have failed to win as frequently. "This is because Chinese films have been taking part [in the these festivals] for many years now. In the early 1980s, when Chinese films started to enter the world stage, they were seen as mysterious and international society had no idea what kind of films we were making. It is understandable that at such a time, Chinese films as a whole would be given intense attention," Jia explained. "Because the film industry in every country and region is developing and China is just one of many. It is only natural that China isn't given special care." Jia has been called the "godfather of Chinese indie film" by some Western media outlets such as Variety. However, in addition to being a famed filmmaker, Jia is also the founder of the Pingyao International Film Festival (PYIFF), executive producer of a BRICS film coproduction project, as well as a delegate to China's National People's Congress. All of these roles require that he works closely with Chinese government authorities. While it may be hard for many people to understand how a filmmaker, especially one who has made a number of films that were not approved for release in the Chinese mainland, could cooperate with the Chinese government on so many projects, Jia feels that it is quite natural for him to do so. "In general my first priority is finding ways to do more for the Chinese film industry," Jia said. "This way, [the authorities and I] can always find things that we both approve of. It is a very natural that we work together."